Meldonium for sale under the trademark Mildronat. Meldonium was added to the World Anti-Doping Agency's banned list on January 1, 2016. Since tennis star Maria Sharapova tested positive for meldonium in early March sales of drugs containing the substance have risen in Russia by about 50 percent. Sales of drugs containing the substance meldonium have increased by about 50 percent in Russia in the wake of the recent doping scandal involving tennis star Maria Sharapova. Among the first to witness the phenomenon were the staff of the pharmacy located in the building of the State Duma, the lower chamber of Russia’s parliament. "Before, we would order just one box of the drug. Now there's no time to receive it all," a staff member from the pharmacy told the Interfax news agency. The employee agreed that the demand for the drug can be considered a real craze, and said that people began asking for meldonium after the doping scandal broke. Staff from other pharmacies have confirmed the trend. The growth of meldonium sales at Rigla, one of Russia's largest pharmaceutical networks, increased by 50 percent in the first 10 days of March 2016 (in comparison to the same period in 2015), Alexander Filippov, general director of Pigla, told the RBK business daily. 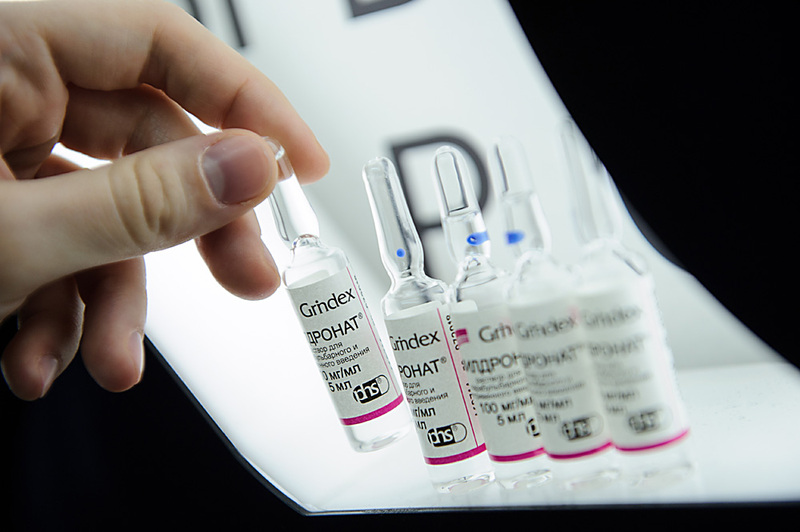 Sales of mildronate (one of the drugs containing meldonium) at another network, ASNA, were average in the beginning of March but on March 9 increased fivefold, said ASNA’s general director Alexander Shishkin. According to information provided by the Medlux.ru internet aggregator, in pharmacies in Moscow and the Moscow Region mildronate costs about 300 rubles ($4-5). Currently, the drug can be bought only with a prescription. However, in the words of neurologist Irina Vostrikova, meldonium does not fall into the category of drugs with strict regulations and until recently was not even a prescription drug, which is why it is possible that many pharmacies will still sell it without a prescription. Vostrikova emphasizes that meldonium is a metabolic drug and does not have a strong effect on the organism, and its use without prescription is not dangerous. "It is often prescribed for exhaustion, damage of cerebral circulation, for cardiovascular disease, and the use of meldonium does not have any narcotic effect at all," she explained. Who's in line for meldonium? "Based on my acquaintances in the social networks, amateur athletes are now interested in the drug, as well as sports fans. After the news with the tennis player many people read about the drug and after some discussion decided to try it," said Dmitry Stepanov, an entrepreneur from Ulyanovsk (550 miles east of Moscow). Irina Vostrikova remarks that on a hangover meldonium has the effect of a glucose dropper, normalizing the exchange of energies in the body. "It is true, since the doping scandal the demand for meldonium has greatly increased, by five to seven times," said Dmitry Orekhov, director of strategic development at Gorzdrav Pharmacies. "Earlier, only a narrow circle of experts would buy the drug, but now people whom it just suits pharmaceutically are buying it. That is, those who are predisposed to heart disease or are actively involved in sports. But I think that this craze will soon fade." Meldonium was developed in the 1970s in Latvia and was originally used as a way to control the growth of plants and as a stimulus for the growth of animals and poultry. In the 2000s, after clinical testing, it was recognized as an effective way to prevent coronary heart disease and to improve cerebral circulation, and was used for curing the abstinence syndrome in alcoholism. The drug is certified only in former USSR countries where there are no restrictions on its sale. In January 2016 meldonium was placed on the list of substances banned for use by athletes by the World Anti-Doping Agency (WADA). On March 7, 2016, Russian tennis player Maria Sharapova announced that she had failed a doping test due to the detection of meldonium. Material from RBK Daily was used for this text.